The United States and France sign the Louisiana Purchase. France agrees to sell the Louisiana territory, which it claims to own, to the U.S. The native people who actually live there are not consulted, nor are the more recent Spanish, Mexican, and black settlers. 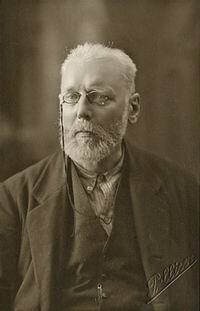 Birth of Max Nettlau (1865-1944), anarchist archivist. North Vietnamese and National Liberation Front forces liberate Saigon, ending the Vietnam War. Mothers of the Plaza del Mayo: A group of 14 mothers in Buenos Aires holds the first of a series of continuing demonstrations demanding to know the fate of their ‘disappeared’ children. 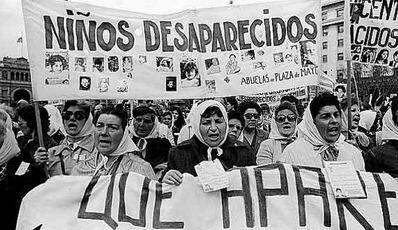 The ‘disappeared’ were victims of state terror in the period of the ‘Dirty War’ of the 1970s and 1980s when the Argentine dictatorship abducted and killed thousands of people suspected of left-wing affiliations. The Argentine government publicly dismisses Mothers of the Plaza del Mayo as “las locas” (the crazy women), and simultaneously resorts to repression. Some of the mothers, including their first president, Azucena de Vallaflor, are themselves ‘disappeared’, while others are arrested. Nevertheless the movement grows and gains international attention.